What does your morning devotion look like this season? Is it like those “Perfect” Pinterest photos, a nice comfy chair with a cup of coffee, tea or water in hand? Do you have a quiet space to go? In the past, my daily holy communion with God consisted of a prayer walk at dawn, followed by reading the Bible and journaling with a cup of coffee in hand reclined in my husband’s chair. That was my prime time with Jesus! Of course it wasn’t always that way. When my children were preschoolers I could barely get up out of bed before they were tugging at me like baby birds aching to be fed. I remember those days now. I would pant and yearn for time alone with Jesus. 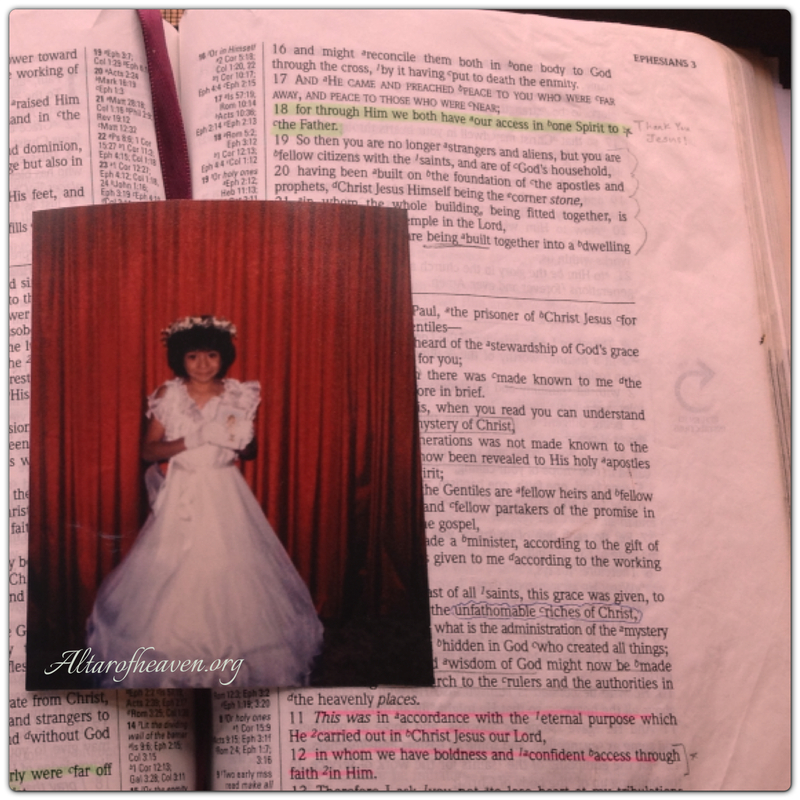 My devotions were usually in a most ‘unholy’ place some would say–it was the bathroom! I stole whatever time I could until their little fingers and lips would sneak under the door calling my new first name: mama. That season passed and I soon forgot what it was like to yearn and pant for that time. When people would say they struggled with having devotion time with God, inwardly I was self-righteous and unable to ‘relate’ to them because I didn’t have “that problem.” I see now I was struggling with spiritual pride. I’m thankful God loves me that He would lovingly reprove, sanctify and teach me His compassion. He reminded me everything I have, even faith…has been given. The way God has offered this lesson in compassion began almost two years ago with our move to California. Immediately most of my familiar devotion time objects were eliminated or packed away. It began with my prayer walks…I was in a new neighborhood, which didn’t offer the same kind of solitude and light I once had—or that is what I thought, and I stopped walking. Instead I began praying in the flower garden, but after months I began to have a heart of ingratitude and stopped that too. I complained inwardly for many months that the only place I had in the morning was in a dimly lit cold room on the kitchen table. I missed my walks, recliner, and prayer closet where I could freely worship in quiet warmth. I whined myself out of worship. I made devotion about me. I forgot to give thanks in all circumstances. I forgot the Father seeks those who worship Him in spirit and truth. I forgot we can have communion with God each moment. I forgot where true worship resides…in Christ and not in circumstances. With this realization, I repented and received the grace to return to the place of worship in Christ. I’m still in California and I’m still learning how to worship in the dark. This season of my life, I begin in prayer in the dark until the sunlight shines, and I read the Bible as the Holy Spirit illuminates the Word of God. Whether you are parents of young children, or older children taking care of elderly parents, I pray the lesson I am learning can help you remember: We can worship in the dark because of Jesus Christ. It is through the grace of God giving us His Spirit and Truth. Do you prefer communication or communion with God? Communication can be cold and distant, while communion is intimate and relational and results in fellowship. Spending time with God in Holy Communion is a privilege we can experience because of what Jesus Christ has done (Ephesians 2:13; Ephesians 2:18; Ephesians 3:12). For years I tried in my own strength to communicate with God; I prayed, I wrote to Him in journals, I even ‘completed’ my ‘first holy communion’. However, it was not until I was still and stopped talking, and started listening that I heard God for myself and had my first Holy COMMUNion with Him. My religion turned into a relationship. It was no longer a one way cold communication giving God my wish list of things I wanted, but became an intimate communion and sweet fellowship with Him. I wanted to know God. The more I sought God, the more I saw He is Holy and I am not. God’s holiness shone so brightly I couldn’t help but see my own sin and undeserving heart to speak with the Creator Himself. But grace. God immersed me with His grace, and I understood what it meant to say, “Jesus is the Lamb of God who takes away the sins of the world.” A phrase I memorized at eight to make my first holy communion. In the Spring of 2009 my eyes were unveiled and I saw how the sacrifice and blood of Jesus Christ cleansed me from my past and current sins allowing me to draw near to God. I saw how the resurrection power of Jesus Christ gives me power to abstain from future sin. That day I was taken out of darkness and put into God’s marvelous light, given a new heart and title of daughter–a privilege to call the Creator, My Abba…Father. It was the blood of Jesus Christ that cleansed me and brought me near to God, and it is still the blood of Jesus that cleanses me and keeps me near God giving me the power to ‘master sin’. No, I have not yet‘mastered’ sin perfectly but I know my role: I ‘practice’ righteousness and God ‘perfects’. I am on a journey towards perfection called sanctification and my mind is catching up with how God sees me in Christ. I’m learning the faith, power and victory to master sin comes from God alone, He dispenses the seeds of faith, Bread of Life and anointing for each day, it is up to me whether I take it. I have tasted the Bread of Life and seen for myself the Lord is good, faithful and righteous. I want this treasure of communion with God more than ANYTHING and I desire to be conformed into the image of Jesus Christ so that I may have unbroken fellowship with God the Father through His Holy Spirit to be used as a vessel of mercy and grace for His kingdom purposes. I am learning to come to boldly to God’s throne of grace and begin the day in a God morning. This is a discipline turning into devotion for me. With the many fatal distractions and noise in this world I am making it a practice to wake up early in humble prayer asking God to help me set my mind on the things above not on the things of this earth. I am learning to cast all my anxiety on God believing He cares for me. I am also learning to put my agenda, expectations and ‘to do’ lists on the altar remembering my life is no longer my own. I am beginning to delight myself in my crucifixion allowing my death to precede His living breath. This is something I must do every morning and I’m learning to do it more throughout the day. I welcome and cooperate with the Holy Spirit as He reveals and convicts me of any sin in my life helping me to confess and repent and walk by faith in His righteous ways. I am learning transparency is transforming and God heals what we reveal. God does not finger point or condemn me for my sin, but rather He is there to save me from my sin…even the future sin. In seeking God’s kingdom and righteousness first I am learning about the things I do which grieves the Holy Spirit. When the Holy Spirit convicts me of what I am doing (or not doing) I confess my sins, repent (turn from that behavior and turn to God). I call this daily devotion: Retreat, Repent, Restore, Revive. God Revives me according to His Words of life and His Spirit; I am made alive and I am giddy to have personally heard from my Abba—not through someone else’s devotion to God or book, or blog but from Him directly. This intimacy and love I have for Him gives me a desire to obey Him. In this daily practice I have been experiencing revival by His Word and I have been receiving His times of refreshing that comes from his cleansing forgiveness and grace. I am learning to walk in the fear of the Lord and the comfort of the Holy Spirit. The more time I spend with God, the more I know Him. The more I know God the more I love and trust Him, that is how I am learning to abide in Him–I am learning to rest in His purposes, His ways and His timing.